Here you can become a 4Kids Supporter by making a regular contribution towards the work that Thandanani Children’s Foundation does in supporting vulnerable children and their families. 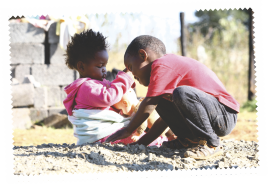 Like any NGO or Charity, Thandanani relies on contributions from caring individuals and organisations in order for it to be able to support and transform the lives of children and families in need. Acknowledge receipt of your form and immediately add your details to our 4Kids database. Process your monthly contribution via debit order and keep you up to date on our work through regular emails, newsletters and updates on the 4Kids website. Send you an annual tax certificate allowing you to claim a rebate from SARS for your contributions. It’s as easy as that and what’s more you decide how much or how little you wish to give each month! So change the life of a child today and complete your 4Kids Supporter form now!